Hagar Weinberger wants doctors to make better moral judgments, while Keren Yalin-Mor wonders whether judges should consult computers when handing down verdicts. They are among the first group of fellows at TAU’s Edmond J. Safra Center for Ethics. Safra Center Fellow Hagar Weinberger – a fifth-year doctoral candidate in medical ethics who enjoys flying remote controlled airplanes in her spare time – observed that doctors and other health professionals had little training in how to handle the stress of the job and make responsible decisions. Hagar’s research, conducted under the supervision of TAU Prof. Yechiel Michael Barilan of the Sackler Faculty of Medicine, responds to this pertinent need. She is developing guidelines – to one day be used in education manuals for physicians – that address major ethical issues, such as: how to make moral judgments under stress; how to balance between the desire to innovate and the need to follow protocol; and how to accept blame but live without guilt. Combining sociology, psychology, medicine and philosophy, Hagar’s research could also have applications for the military, where leaders are expected to conduct themselves professionally under duress. In the future, Hagar plans to work in a hospital and put her research to the test: “I want to use my knowledge to transform the medical system for the better and make a real impact on the lives of millions,” she says. 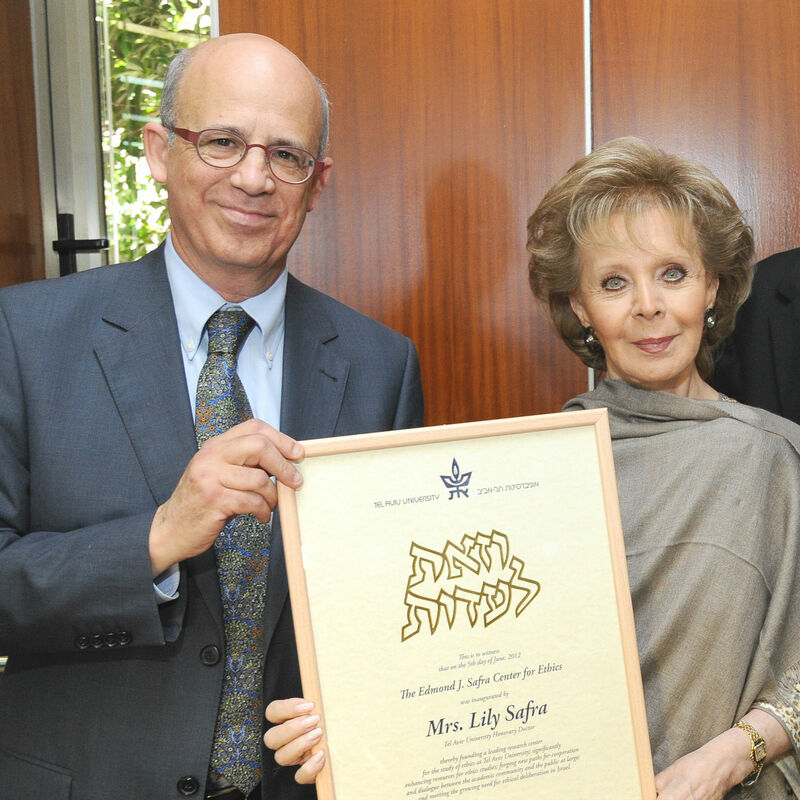 As a Safra Fellow, Hagar is deeply involved in the activities at the Edmond J. Safra Center for Ethics at TAU. Once a week, Hagar attends a colloquium at the Safra Center with other doctoral students, post-doc fellows and faculty members, in which they read and discuss classical and modern texts over hummus and pita and debate different topics that relate to ethics, science and democracy. Past sessions have explored multifaceted questions such as how to define consent, the ethics of abortion and euthanasia, and the uses of misuses of the placebo. The colloquium also provides researchers with the opportunity to bounce off ideas and collaborate with their peers on projects. “I love being able to discuss my research with students of law, sociology, anthropology, history and more. During these sessions, I have discovered new and exciting research directions that have greatly benefited my work,” Hagar enthuses. At the Safra Center, international scholars are frequently invited to give talks on their various fields of expertise. In November 2012, Prof. Raymond De Vries from the University of Maryland presented his paper on the uses and abuses of moral theory in bioethics, and Prof. Anita Allen from the University of Pennsylvania discussed the ethical implications of genetic information. In a separate event, Prof. Philippe Nonet from UC Berkeley’s law school gave a two-part lecture on how the concept of freedom has developed in western thought. All three guest speakers met informally with the Safra Center Fellows following their talks. In addition to the weekly colloquium and international lecture series, the Center also hosts forums for researchers and professionals throughout Israel. For example, a group of 13 experts in the fields of social sciences, medicine, health and law began meeting in 2013 to discuss Israel’s vaccination policy. Another group comes together on a monthly basis to pore over new research involving ethical decision making. Keren Yalin-Mor, a Safra Center Fellow and fourth year doctoral candidate in law, became fascinated by the question of whether, and under which conditions, judges could use computer decision support systems when making a verdict. Should the legal system standardize punishments by placing the onus of decision-making on mathematical algorithms? Her research, which explores the merits and limitations of computerized systems, contributes to the public debate on the fairness and reliability of human judging as it is performed today. It also aims to set criteria to aid the developers of such systems and the legal professionals who will decide on their use. Keren currently lives in Tel Aviv with her husband and her young daughter Zohar. After completing her degree, she plans to pursue a career in academia. The Edmond J. Safra Center for Ethics at TAU is named after the late Edmond J. Safra, one of the twentieth century’s most prominent bankers and philanthropists. 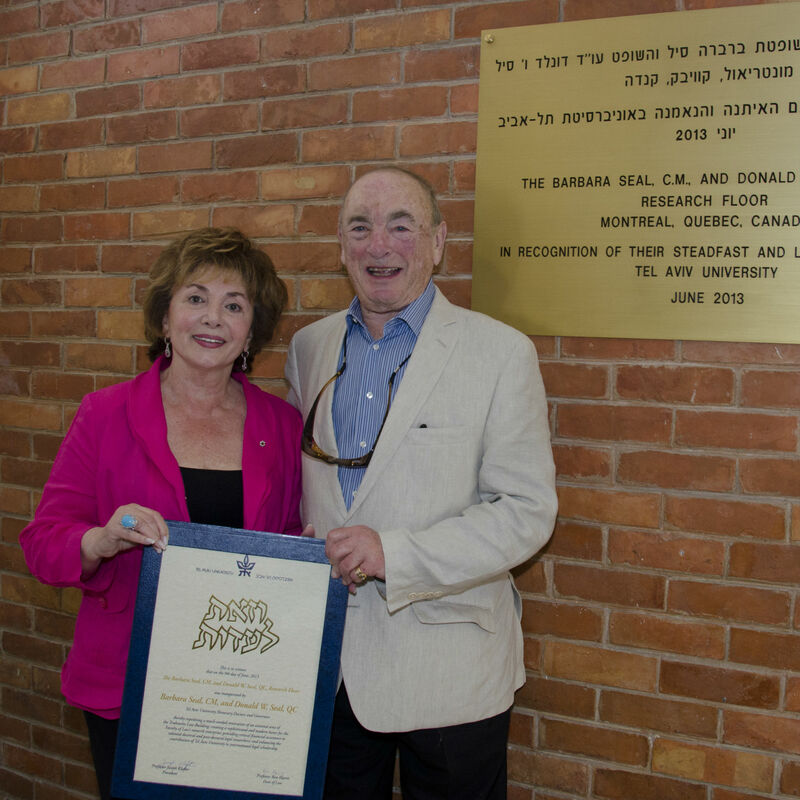 The Center was dedicated by his wife, TAU Honorary Doctor Lily Safra, in 2012.